Learn Music || Davidson/Cornelius/Huntersville/Mooresville Piano, Guitar, Bass, Ukulele, Drum and Voice Lessons. 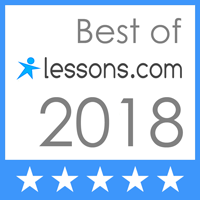 Learn Music offers piano, guitar, drum, voice and ukulele lessons for the Cornelius, Davidson, Huntersville, Mooresville, and Charlotte areas. We have a multi-faceted program, specifically designed to produce professional, knowledgeable, and well-rounded musicians.